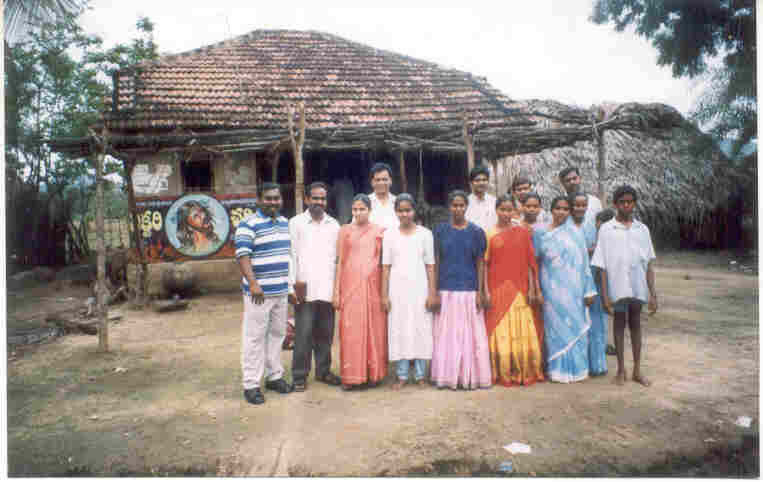 The founder of Gospel India Mission, Santhosh Chellappan, had a confrontation with Jesus at the age of 22. He was then actively working as a leader in the Communist Party. The Communist Party never believed in the existence of any God. Their motto is “achieve freedom through WAR”. In spite of threats to his life from the party for which he worked for several years, he kept growing his newfound faith in Christ. Born into a family that was fully committed to follow the Communist Marxist Party, he had to face rejection from his family too. By the guidance of the Holy Spirit, he came to the northern parts of India and there found Christianity to be less than 1 per cent. The burden for lost souls inspired him to reach out to these poor people with the love of Christ. Later, he, along with his co-workers and friends started going to various parts of India to preach and teach from the word of God. 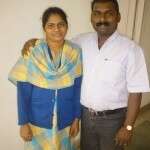 God has blessed his life with a dedicated and God-called woman, Ajitha, as his wife. 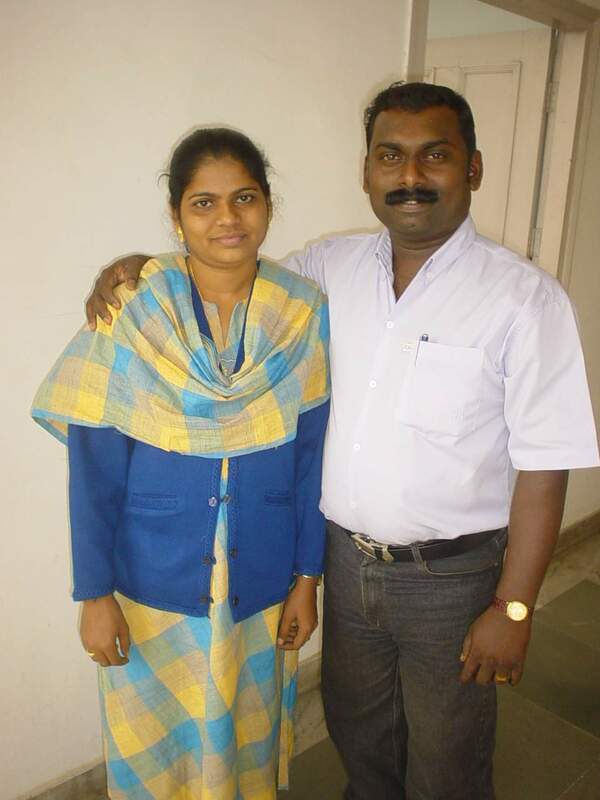 She is a teacher by profession, but left the job and is now serving the Lord together with her husband. God has blessed t hem with two children, Sancia and Sharon. Some of the greatest work GIM does is among children. Every year thousands of children die in India due to malnutrition, improper care and lack of proper medication, food etc. 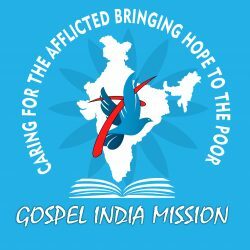 Gospel India Mission works among the needy by helping them find a place to study, and food and lodging. With two orphanages, one in Maharashtra and another in Kerala, GIM takes care of 21 children, who are either single parented or orphans or from a poor back ground. Making disciples for Christ according to the Great Commission given by our Lord, GIM goes to various parts of India with their dedicated co-workers. There, they plant churches and prayer fellowships. Working in the villages and s lums is one of the main targets of GIM, as many poor are are rejected by all means and living without any hope for a better future. More than 600.000 villages still need to be evangelized in India. 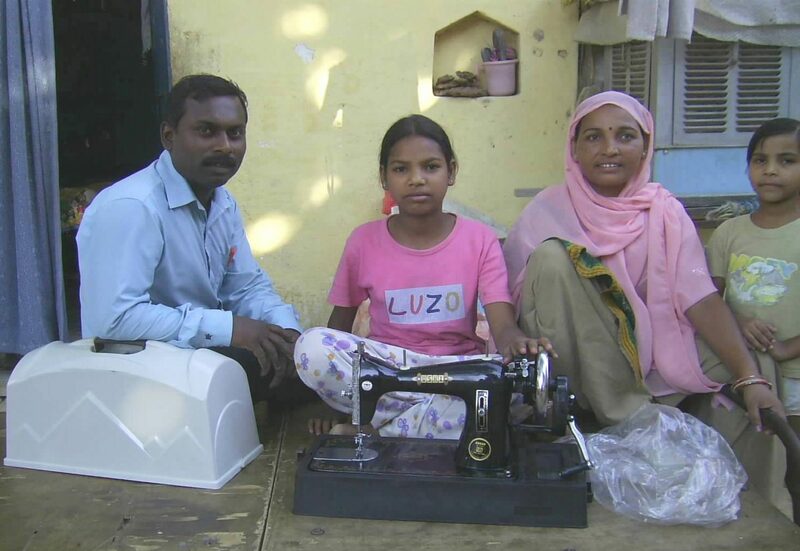 Gospel India Mission serves the people of India by taking care of orphans, elderly people and AIDS patient children. In order to achieve our targets, we need your support through prayers and financial contributions. We also welcome anyone who is willing to visit our ministry field churches and orphanages for teaching the word of God. We also would like to partner with any ministries to reach the thousands of lost souls with Gospel of Jesus Christ. Right-click and save for a report on the year 2016 for our ministry. What a wonderful new website! May the Lord bless it! I pray that a lot of people will visit this website! I pray a blessing over your household and ministry! Thank you Lord in Yeshua`s name!